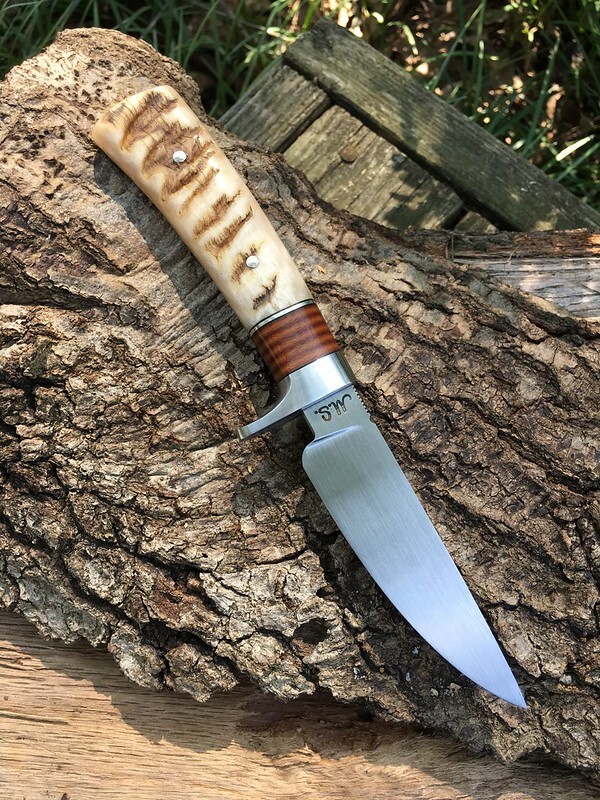 I decided to add some Micarta spacers to the sheep horn theme. When you stack your leather do you use wood hardener on it or some other type of finish? That's Micarta spacers. 1/8 inch thick, stacked like leather. 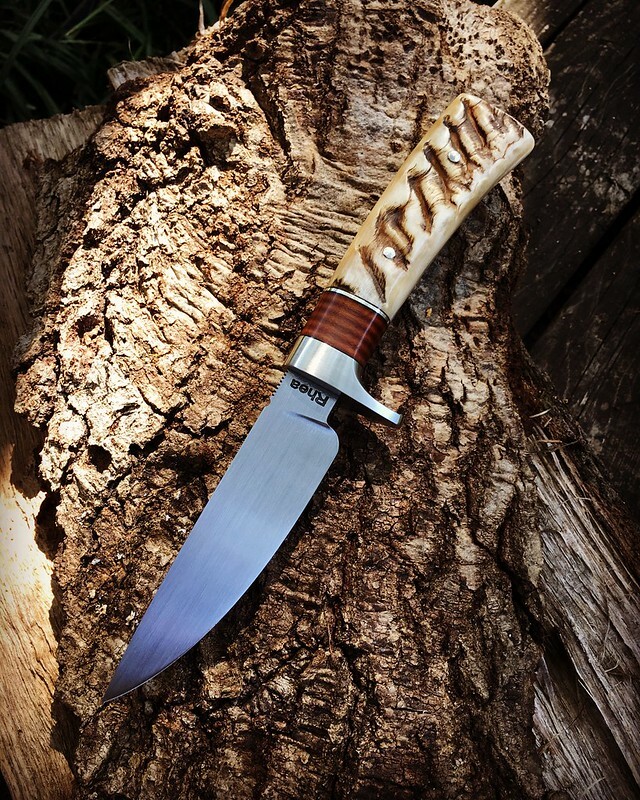 It’s a great looking knife Lin -I think anyone would be proud to carry it. Looks like a great combination to me! Both compliment each other very well, great looking knife.